Inventors will have a far easier time striking a deal with a marketer or distributor when they have a strong supporter inside the potential partner company. You want to find the supporter early before you make any formal sales calls. The contact can then help you fine tune your presentations to the company’s needs. They will also advocate for your project inside the company, urging management to move ahead with your offer. Typically you want to find either a regional manager or a marketing manager to help you. You don’t need to go with your hat in your hand when working on an inside contact, they actually gain as much as you do when they present the project, in fact it is a win-win situation for them. If they bring the project to the company and the company successfully introduces the concept, the inside contact looks like a real go-getter that is helping the company advance. If the project doesn’t go through, they still look like a go-getter, an image that will help them at some point in their career. The following steps will usually get you an inside contact with a potential partner company. You won’t strike your best deal by just showing your invention. Instead, you want to show positive first market research with intriguing possibilities, and then tell partners that your concept seems so strong that you feel it will do best if you partner up with a marketer immediately to exploit the opportunity. That approach allows you to enlist partners in the beginning phases of an exciting opportunity, rather than, from their perception, after you failed to raise money to market your own company. You can meet salespeople by requesting literature and attending association meetings. You can also attend trade shows and meet sales people just by walking up and talking to them in their booth. Try to walk the shows early in the morning or late in the afternoon when the number of real customers is low. Once you meet salespeople ask to take them to lunch as you need some input from them on a concept you think might work in the market. Use a product introduction to explain your concept and the research you’ve put into the project. Don’t try to sell the salesperson, just show him or her the presentation with the observation that you’re trying to decide what would be a good next step. Ask for his or her input on your idea and what could be done to make the concept go. They might ask for more detailed information on the concept in which case you can ask them to sign a Statement of Confidentiality . Take the salesperson’s comments in and be receptive to what he or she has to say. Then ask if this is a concept that his or her company might be interested in. More than likely the person will have quite a few comments on how it could be done with his or her company, with suggestions on making the concept “just right” for the target company. If the salesperson is on board, make at least some of the changes he or she suggested and then ask the salesperson if he or she could set up a meeting with the regional manager or marketing manager. Usually they can meet with you, either when the manager comes to town, at a trade show, or you might be able to visit the company’s location. Once you convey your concept to the regional or marketing manager, they will be able to set up a key meeting with the right people at their company. Often they will introduce you and give a little sales pitch about how your concept could have a significant impact on the company before you even get started. You should always start by showing that you have researched your product and that it has broad consumer appeal. You should start ideally by showing how you are a user of the product. You show other people want your product with observational research which shows why they want the product, and comparative product research which shows they prefer your product to others on the market. One type of observational research consists of just watching end users use the product, noting each step the user takes and then asking the user why they do every step. This is the type of research that many consumer giants such as Procter and Gamble use regularly. If you observe four or five users in action you will notice that they experience, and compensate for, different drawbacks to products or services, drawbacks they may not even realize exists. If you ask people about how they are compensating, they will either affirm that is a problem, or explain it is not a problem. You want to be able to say that a high percentage of the people you observe have experienced the problem your product solves. This process simply asks buyers or end users to evaluate your product against three to seven other products and then asks them to rank the products or concepts both by value and by likelihood of buying. It is useful to do comparative research for both directly competing products or services that achieve the same purpose as yours and for other products or services of a similar type that a company or consumer might buy. For example, with t he Garlic Twist, a new more effective way to prepare garlic for cooking, you would buy every other product that also prepares garlic for cooking. Then, if the Garlic Twist cost $8.00, you would also obtain four or five other kitchen items, with a cost of $4.00 to $12.00. Make sure that some of the products are strong sellers, or your research won’t matter much since no one wants any of the products you are comparing yours to. For effective comparative research, don’t tell the participants what product is yours. To start research, just find 10 to 20 people to review all the products. Ask them to rank the products on how likely they are to buy it, with “one” being the most likely to purchase. Also ask them to rank the products by value, with “one” being the most valuable product. You should be able to determine if people are likely to buy your product, and what is the price point they would buy it at. If people place your product’s value by products that are $4.00, then that means its value is about $4.00. Prepare a graph report on your findings to show potential contacts. Every market and industry has sales people who are usually knowledgeable and very helpful. The best way to contact sales people is either to meet them at trade shows or trade associations or to simply request product information. When you read trade magazines, you’ll notice that they have extensive new product sections, or in the case of service businesses, new services that companies want to promote or sell. Request information for any product or service that is listed in the new product/service section. You are not necessarily interested in the information about the product or service but in the name of the company contact that will typically come on a letter that will arrive with the literature. You can then call up that contact and ask questions such as how their product or service is sold, who are the most important companies in the market, what are the new market trends, and which companies have had the most successful new introductions. You might also ask a contact that is especially helpful if you can contact him or her again in the future. Many industries or markets have trade associations which are groups of people, including retailers, distributors, marketers, and purchasing agents. Trade associations work for the betterment of companies in the industry. They have volunteer committees of members who do most of the work of the association. You can learn about an industry by joining an association and volunteering to be on committees. Marketing committees can be especially helpful for a new entrepreneur since they typically have volunteers that are in marketing for their own companies. You can find trade associations in Gale’s Book of Associations, which can be found at most large libraries. Local Chambers of Commerce have monthly meetings and you should try attending at least one meeting in your town as there may be contacts that can help you. Chambers of Commerce frequently have people who like to help new businesses and some Chambers have active mentoring programs that can give you a sounding board for your project. Great artical. 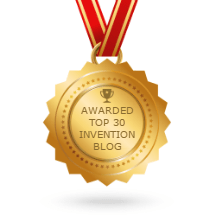 Your work has inspired inventors such as myself to stay the course and keep inventing. Thank you.